Feeling kind of scummy? Are your clothes hanging on you, listless and faded? It could be that you’ve been overdosing again. On laundry detergent, that is. The side-effects are nasty: Not only do you waste money and make your clothes dingier, you may start to smell. "Too many suds can carry the soils released from the dirty clothes and deposit them in your washer’s interior, where the rinse water can’t reach," says Mary Zeitler, consumer scientist at Whirlpool’s Institute of Fabric Science, in an email. "Over time, these deposits can start to develop odours due to bacteria growth. The odour can then attach to your clothes." Laundering has gotten far more complicated, with high-efficiency washing machines and condensed-formula laundry detergents boasting of such formulas as 2X, 3X or Coldwater HE. Precise dosing is in. Eyeballing is out. But the bottle caps of many laundry detergents made precise measurement difficult. 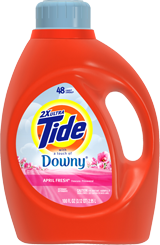 Procter & Gamble recently introduced easier-to-read plastic measuring caps for its liquid detergent brands, including Tide, Gain and Cheer. The old caps, hard to read and hard to open, were the No. 1 consumer complaint received by P&G’s fabric-care division. Even Bruce Cran, president of the Consumers’ Association of Canada, has gotten an earful. "it’s been a chronic problem. A lot of people have had difficulty understanding how to use the concentrate and get the doses right." Adam Lowry, cofounder of Method Products Inc., makers of eco-friendly household and personal care products, doesn’t think that was an accident. "it’s well-known consumer behaviour in the laundry industry that people use more than they need," says Lowry. it’s logical that detergent for the biggest load would be the volume of the cap, he explains. Instead, the measuring line for the big load was often about half the volume of the cap. "They were encouraging the use of more product faster." … A survey that Method conducted found that 53 per cent of consumers didn’t use the recommended lines on laundry caps. They either eyeballed it or filled the cap. 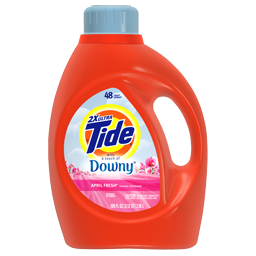 As for the future, industry spokesman Sansoni says more detergents may go to a concentration of eight or even 10 times, perhaps in premeasured doses. "Even with innovations," he says, "consumers still need to read the directions." From now on, I’m going to carefully measure the amount of laundry detergent I use! Use less laundry detergent, not more! was published on Thursday, February 4, 2010 at 4:01pm EST by Daniel Menjívar and last updated on April 11, 2018 at 9:30pm UTC .